2. Book your wedding venue. 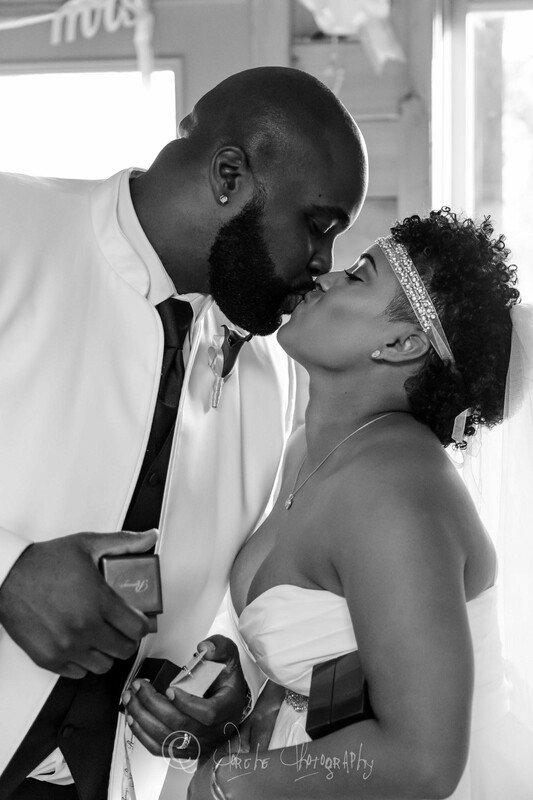 Because it’s less than 30 days from the time you will be mailing out invitations, you should be conscious of out of town guest and possibly accommodate them with choosing one venue to have both the ceremony and reception. This will eliminate them having to pay for multiple trips on wedding day, especially with short notice. 3. Decide if you want to receive gifts from your guest. If yes, go online and create a gift registry or Honeyfund honeymoon registry. Then sign up for a wedding website, where you can all of your registry information as well as important wedding information. Also, if you do have out of town guests, I’d take a further step and text or email the link to your wedding website to them now. That way, they can start preparing for their trip, while awaiting the official invitation. 4. Speaking of invitations, It’s time to order and send them out ASAP. And don’t forget to add your wedding website to your invitation. These days many people tend to discard or misplace their invitations, so providing the website will help in the event this happens. 5. It’s dress-up time. 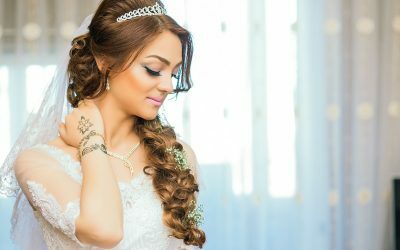 Unfortunately, you don’t have much time for various fittings, but luckily you can find many local bridal salons that offer trunk shows or samples sales. So not only can you get a beautiful designer dress, you may even get it at a great price. Don’t forget your shoes and accessories! 6. Choose your tux. 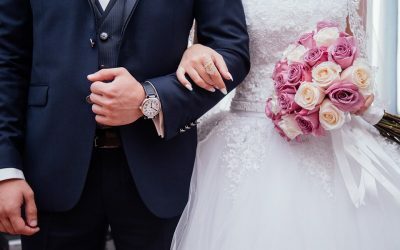 The typical timeframe for tuxedo shops is 14 days, so the fact that you are planning a great wedding in a short timeframe, doesn’t affect this area of the process at all. 7. Book your wedding vendors. Unless you are hiring a wedding planner, this next part will be the most difficult, tedious, and time-consuming part of the journey. Ask friends/ family/ coworkers for recommendations on good, local vendors to use on your special day. Do your research and book them ASAP. This includes: Wedding Planner/ Coordinator, Photographer, Videographer, Officiant, Event/ Floral Designer, DJ/ Entertainment, Hair and Makeup Artist (MUA), Cake Designer, Caterer, and anyone else you decide to have such as a photo booth. 8. Schedule Trials and Tastings. If you are using a caterer or cake designer you never used before, be sure to schedule a quick tasting of what’s on your menu. Also, take this time to schedule your trial hair & MAU appointments. You don’t want to get a new hairstyle or make that you’ve never had before, the day of the wedding… To turn out to not like it. This is why, as a wedding planner, we highly recommend having a trial done of exactly what you are wanting to look like that day. 9. Shop and purchase wedding rings. And make sure you schedule to have them cleaned and sparkly for the big day. 10. Going on a honeymoon? Now is the time to start honeymoon planning as well. Decide on a destination, number of days and book your trip, including flight, hotel, and transportation. 11. Create a wedding timeline. Share this with your wedding coordinator, officiant and caterer to finalize the details. * If you are hiring a wedding coordinator, this may be included in your package. 12. Plan your rehearsal dinner and inform everyone that’s invited. 13. Confirm and finalize all wedding details with each of your vendors. This is also a great time to send your photographer your shot list. That way you can make sure they capture your every detail. 14. 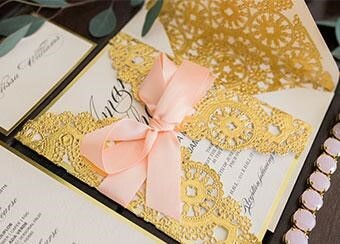 Design, order and or print your wedding stationery. This includes: wedding programs, thank you cards, wedding signs, etc. 15. Purchase gifts for each other and your wedding party, as well as order wedding favors for your guests. 16. Prepare your wedding vows. 17. Check with vendors to confirm all final payments, timelines, delivery & set up, etc. You want to make sure everyone is on the same page with all details. 18.Last minute shopping. Be sure to purchase all your small items that easily slip your mind, such as; garter belt, something blue, something old, something borrowed, something blue, dress to change into at the reception, lingerie and honeymoon necessities. 19. Head to your local courthouse and apply for your marriage license. Determine who you will designate to be in charge of the paperwork until you arrive back from your honeymoon. Make sure it’s someone you can rely on, like your mother or Maid of Honor. 20. Start packing. 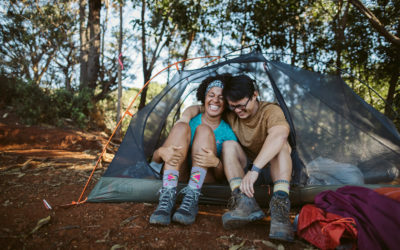 Be sure to pack for the wedding day, wedding night and honeymoon. 21. Confirm & finalize all details again with your wedding coordinator. If you decide not to hire one, reach out to all of your vendors and confirm with them directly. You can do this by giving them a quick call or shooting them a quick email. 22. Schedule your mani, pedi, wax, and massage! 23. It’s time to RELAX! You’ve put a lot of blood sweat and tears into this wedding thus far and now you can relax and prepare for your special day. But, while you still have time, head on over to relax and enjoy some quiet time as you get pampered at the spa. Trust me, you’ll need it! Countdown to Planning a Great Wedding in a Short Timeframe – Today Is the BIG Day¦ Are You Ready? I know it was a lot of work, but I promised it was possible to get this done. 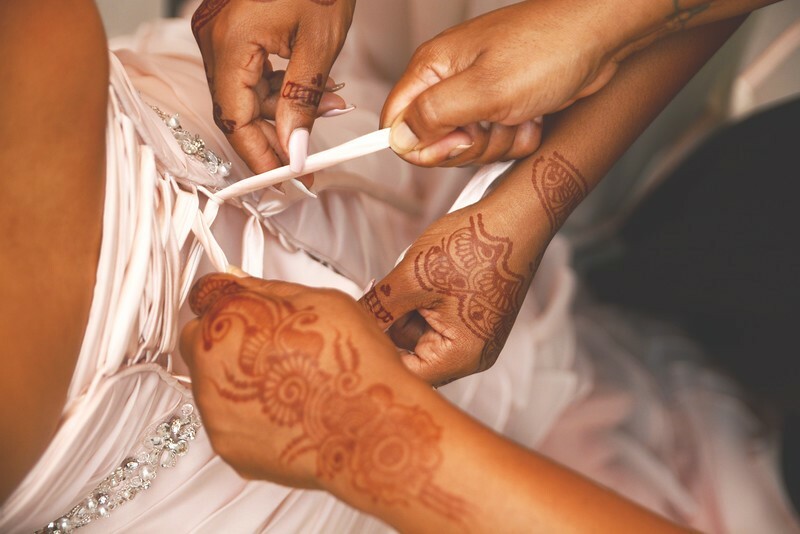 No matter how quickly your wedding day is approaching, as long as you have this hit list of what to do and when¦ you too can plan a great wedding in a short timeframe! Bio: Porche Photography offers not only photography but wedding planning and printing services as well. Whether you are planning a wedding over the course of a year or the course of a month, Porche offers hands-on services to line up and coordinate vendors, manage your guest list, and handle every detail. 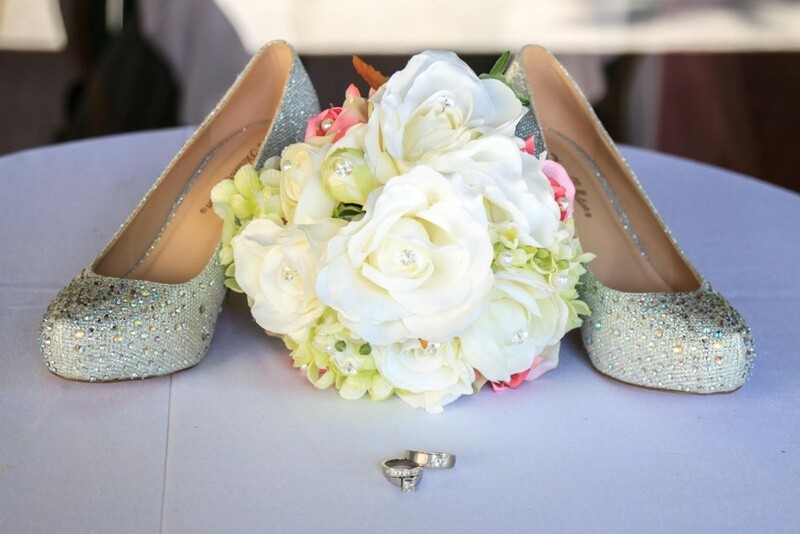 Begin in 2008 by Certified Event Planner Keeyawna Porche, the company has expanded its services from event planning to include wedding planning. Sought after in the Atlanta area, Porche Weddings has an unrivaled set of skills in etiquette, design, and entertaining. If I had to guess, choosing your wedding officiant isn’t the most exciting or romantic part of planning your wedding. It’s not the same as finding a dress or picking the flowers for your bouquet – where all you need to do is go on Pinterest or Instagram and wade through 17,000 images. Choosing a wedding officiant shouldn’t take more than an hour or two. It does require a little bit of effort¦but not too much. The best place to start searching for a wedding officiant is by doing a simple Google Search. But don’t enter just anything into that search bar. By using these specific search terms you’ll weed out most of the non-officiant wedding vendors¦of which there are tons! When you get your search results, stay away from listing services or review sites at this stage (and please avoid Craigslist). The problem with a listing service is that these services list anyone that pays a subscription fee. No skill required¦and you are not looking for just any warm body that can read a wedding ceremony script. Let’s be a little discriminating. You want someone that is going to enhance and add to the beauty of your wedding. So just focus on search results that direct you to an actual officiant’s website. The officiants that are ranked high on Google (on the first or second page) are there because they have been around for a while and also because Google thinks pretty highly of them. Which is usually a good sign. 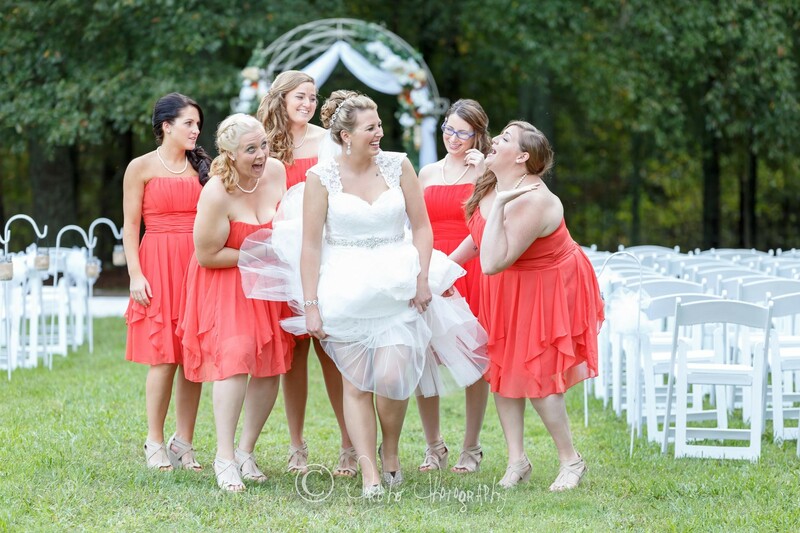 Your wedding officiant is going to be in your photos¦forever. Choose someone that fits with the look you’re going for. For example, some officiants wear a minister robe, while others might wear a Hawaiian shirt. Try to find an officiant that won’t stick out like a sore thumb in your photos. You want a professional. They need to look the part of a wedding officiant or minister. Look at the pictures on his or her website. Be vain. Be critical. You will have to stare at this person for 15, 20 minutes during one of the most important days of your life! Do you want a wedding officiant that reads from a script and presents like a traditional minister? Or do you want someone more relaxed and personable? The best way to find out the style/personality of a minister is to find video of one of their weddings. Hopefully their website will have one. If not, read the About Us page to get a handle on their presentation style. Now narrow down the search results to 2-3 of your favorite candidates. Grab the names of the few officiants that’ve made the cut and head to a review site. Wedding Wire is the big dog in most locations. Now here’s the trick: only read the 3 or 4 most recent reviews. And make sure those reviews aren’t older than 6 months. If they don’t have 3 or 4 reviews in the past 6 months, that means either they aren’t that active or they don’t have raving couples dying to write a review. And if they don’t have any recent reviews, it probably means any reviews they do have are fake. 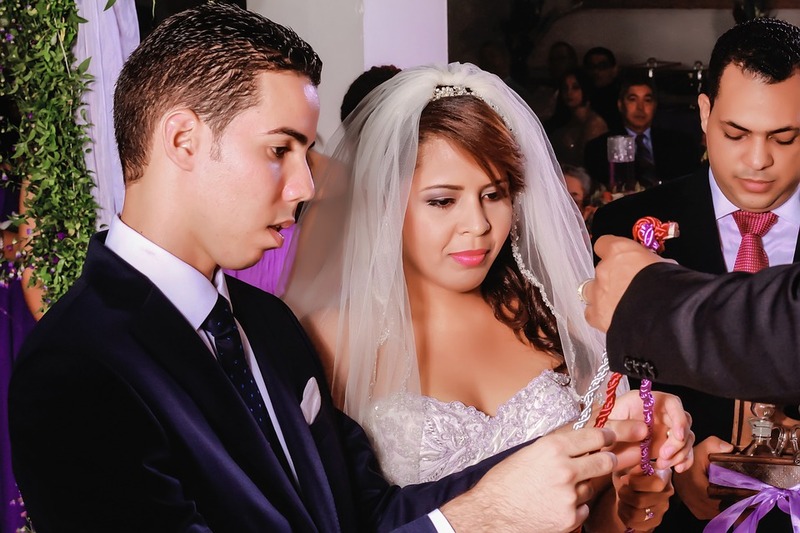 When reading the reviews, pay attention to what stood out about the officiant to the couple. He was easy to work with. She was helpful and put the couple at ease. She had a strong presentation style. Now, look at the negative reviews. Or the less than 5-star reviews. Anyone that’s been around for a while should have at least 1 or 2 less than stellar reviews. It happens to everyone. But when reading it, understand that some complaints are forgivable¦others not as much! The officiant showed up late. He didn’t understand the basic etiquette and anatomy of a wedding. No one could hear at the ceremony. After reading the reviews, hopefully you’ll still have 1-2 officiants that stood up to your rigorous standards. Shoot your candidates an email, or better yet, jump on a call with him or her. 5 minutes is all you need. Again, you’re just trying to gauge their personality, are they warm, friendly, polite, good voice, etc. It’s how you’ll get the best sense of their skill/personality as an officiant. Let’s face it, one of the central roles of the officiant is to be an expert on wedding ceremonies. 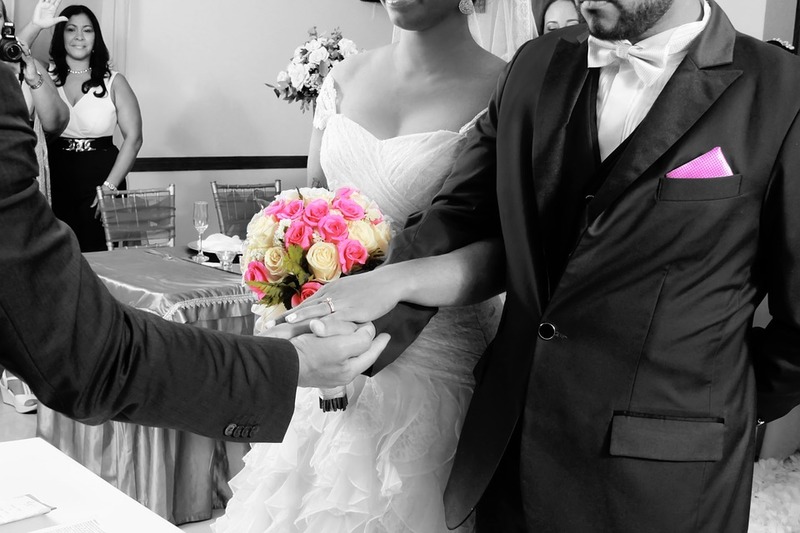 You should be able to put your ceremony in the officiant’s hands and feel confident. The fact is, I’ve officiated weddings with some of the most highly regarded wedding planners and yet have had to step in because the wedding planner was busy elsewhere or didn’t know how to set up a unity ceremony or cut the cake. Looking for a way to finance your honeymoon or other wedding expenses? Check out a Honeyfund honeymoon registry. Bio: Mike from Wanderlust Bay is a former trial attorney who is now a full-time wedding officiant who performs over 200 weddings a year. After moving to the Caribbean to practice law, he realized he loved performing weddings after officiating at the wedding of his brother. Know known as Island Mike, he devotes himself to meeting the needs of couples in need of a wedding officiant. 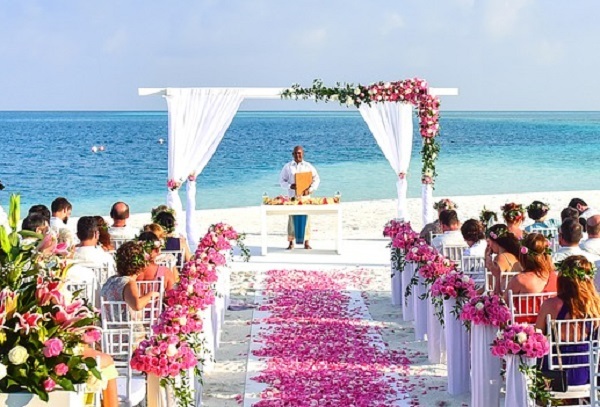 Wanderlust Bay also helps people get ordained to perform weddings.